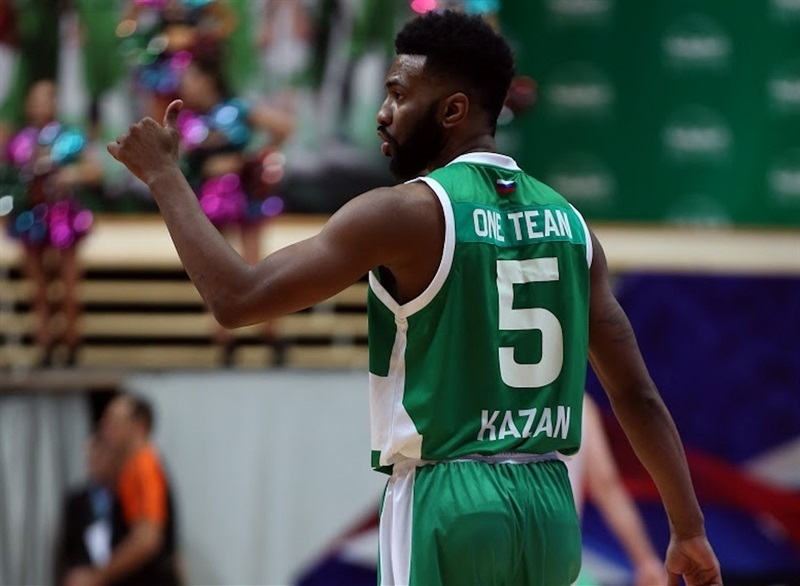 Unics Kazan got back to winning ways in style on Thursday, beating EA7 Emporio Armani Milan 100-79 in the Round 10 opener and breaking its club scoring record in a Turkish Airlines EuroLeague game. 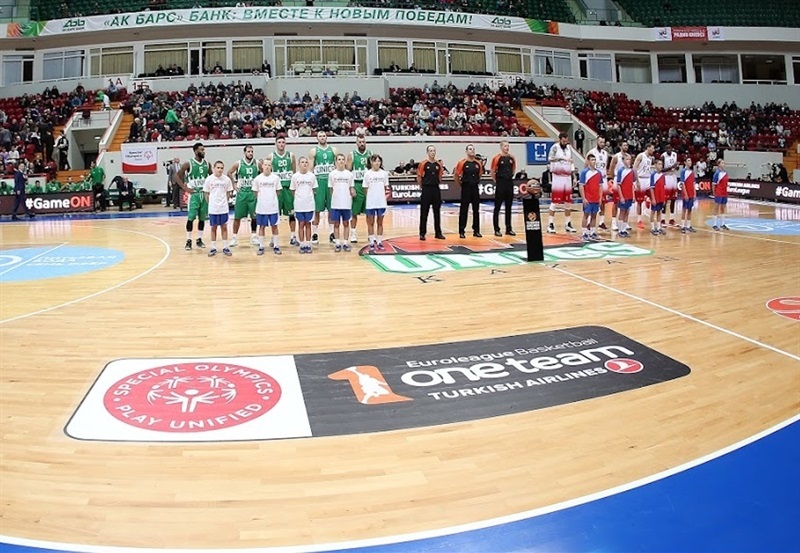 Its previous best was 99 points set earlier this season in a road loss to Anadolu Efes Istanbul, but this time scoring record translated into a victory that broke Unics's three-game losing streak and improved its record to 3-7. Milan dropped to 4-6. 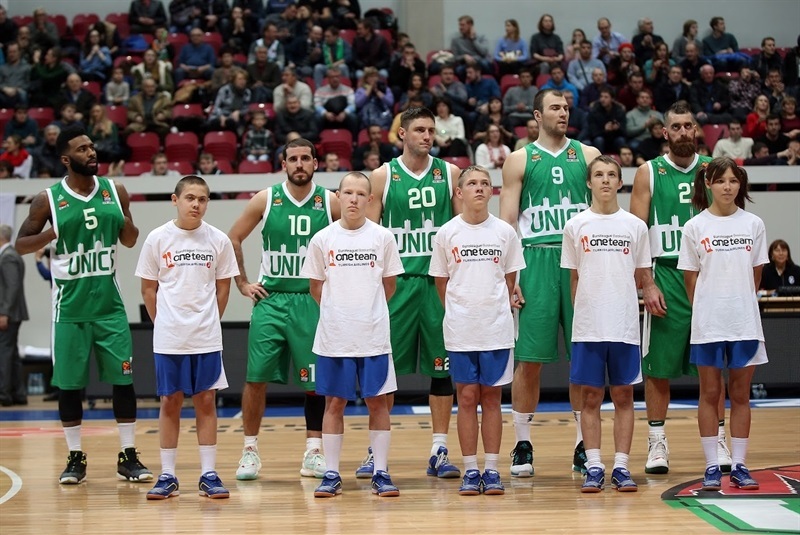 Unics took control of the scoreboard with a 16-2 first-quarter and never trailed again. 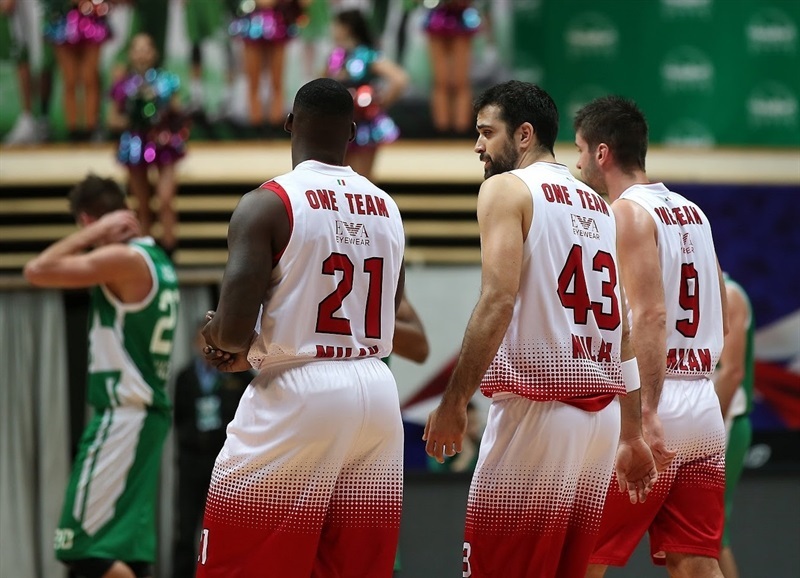 The hosts had a 57-43 advantage at halftime before Milan got within 4 points, 73-69, at the end of the third quarter. 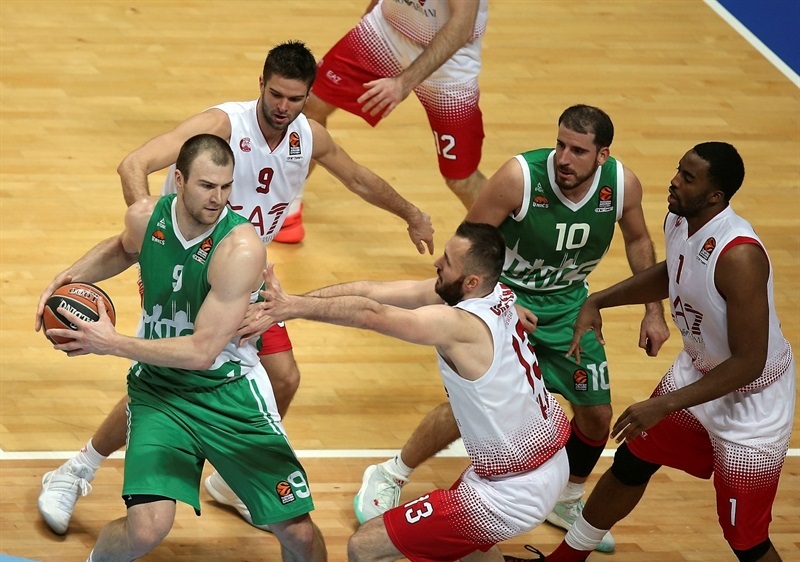 A 10-0 fourth-quarter run capped by Vadim Panin from downtown restored a double-digit lead, however, and Unics never looked back. 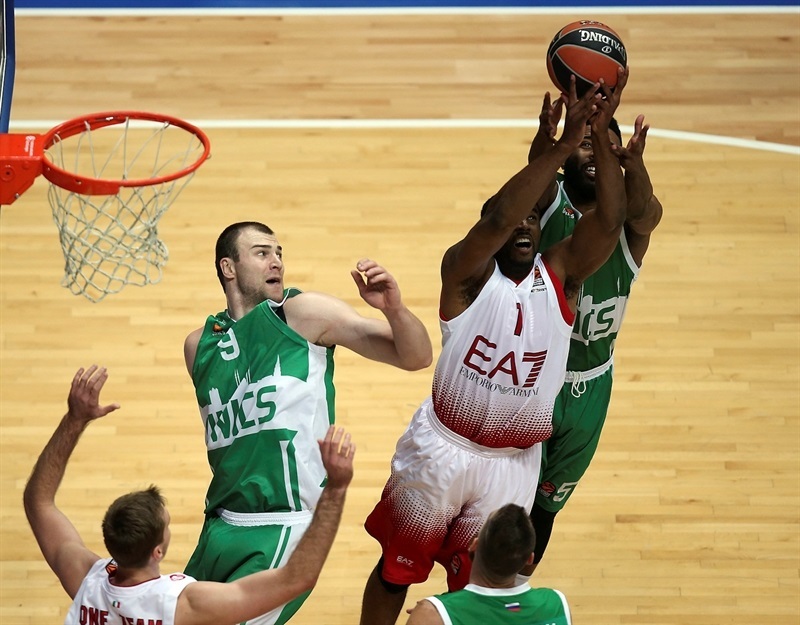 Keith Langford netted 25 points to pace Unics. Panin finished with a career-high 18 points on 4-for-5 three-point shooting. Artsiom Parakhouski scored 16, Orlando Johnson also had a career-high with 14 points, while Quino Colom was everywhere with 9 points, 12 assists, 6 rebounds and a pair of steals. Jamel McLean scored 14 of his 16 points in the first half to pace Milan. 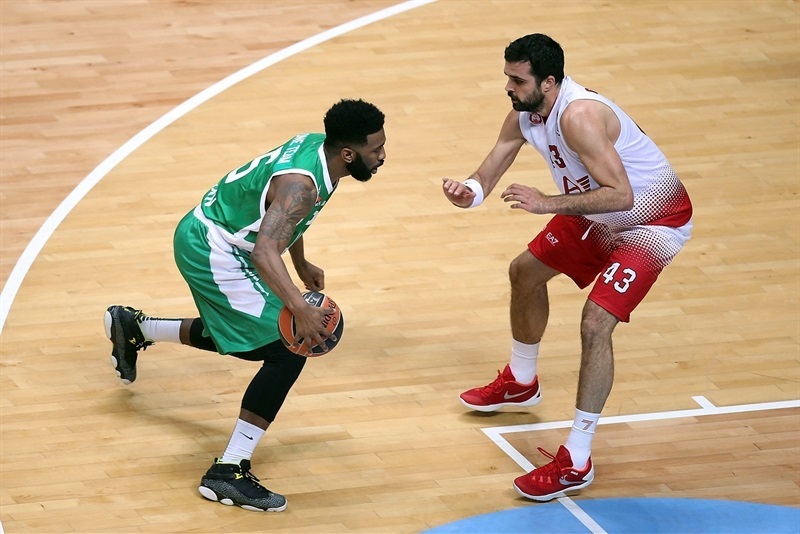 Ricky Hickman added 12, while Zoran Dragic and Rakim Sanders scored 10 apiece in defeat. 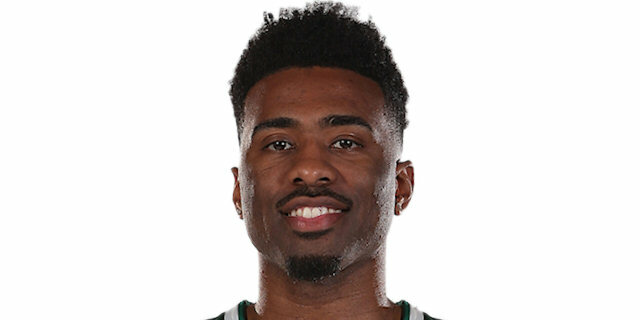 In the first 60 seconds of the game Milan, scored 6 points on three quick possessions, but Unics replied by scoring the next 10 points in a run that Langford punctuated with a triple. 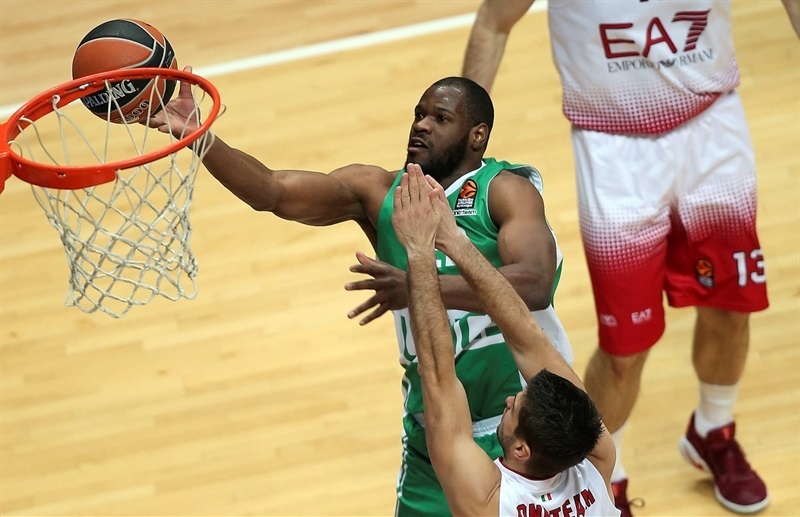 The hosts continued increasing the margin with a pair of layups from Panin, a triple from Colom, and an alley-oop dunk from Langford to Latavious Williams that helped made it 29-18. 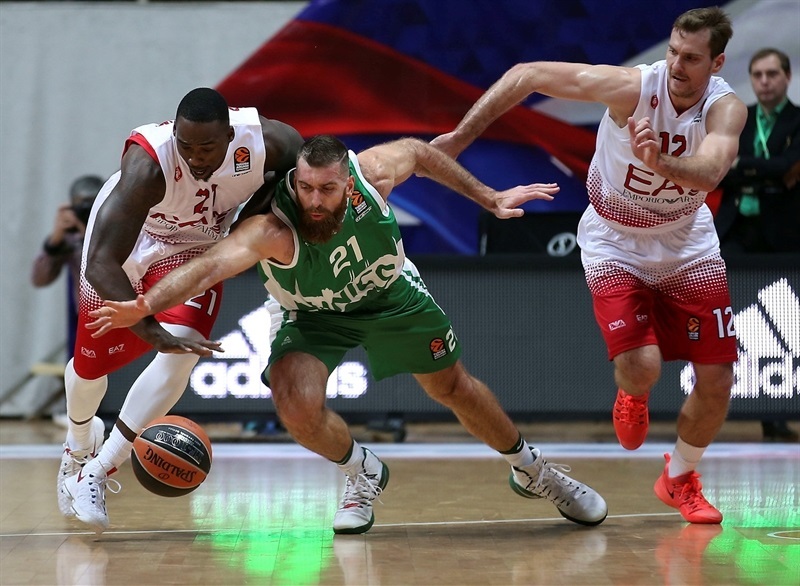 Paul Stoll, making his EuroLeague debut, hit a half-court buzzer-beater to make it 35-24 after 10 minutes. The hosts kept the margin in double figures, while McLean kept Milan in range. 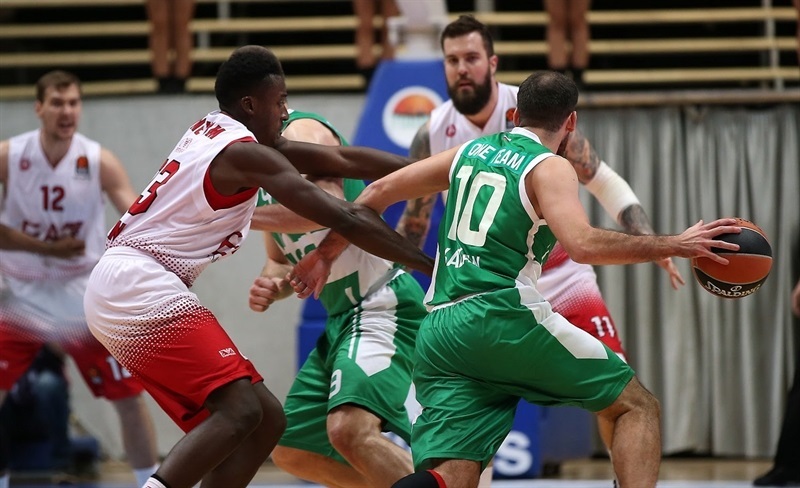 A dunk by Miroslav Raduljica and a triple by Milan Macvan cut the deficit to 43-38 midway through the second quarter, but Parakhouski, Colom and Johnson restarted their team's offense and Unics went to halftime up 57-43. Unics briefly increased the margin to 17 points, 62-45, before Sanders, McLean and Hickman cut it to 62-52 for Milan. 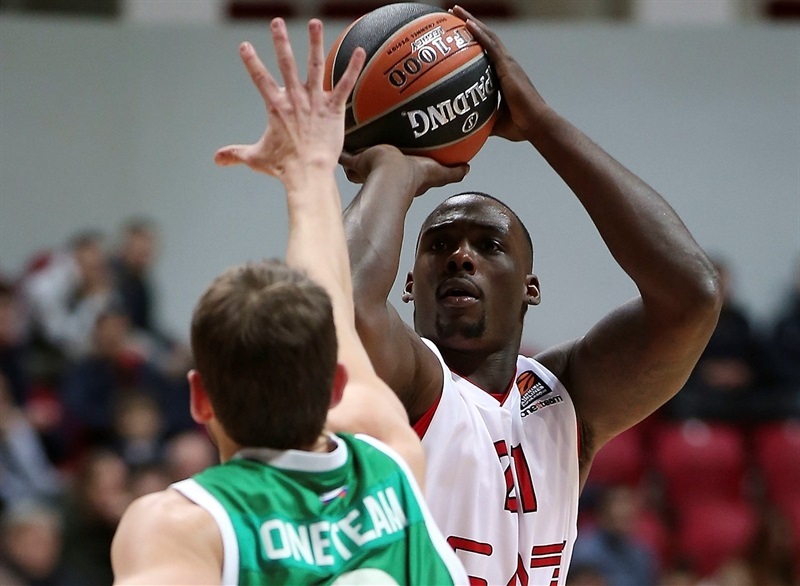 Krunoslav Simon and Sanders each added a triple to get Milan within 66-61. Hickman's last-second driving layup made it 73-69 going into the fourth quarter. 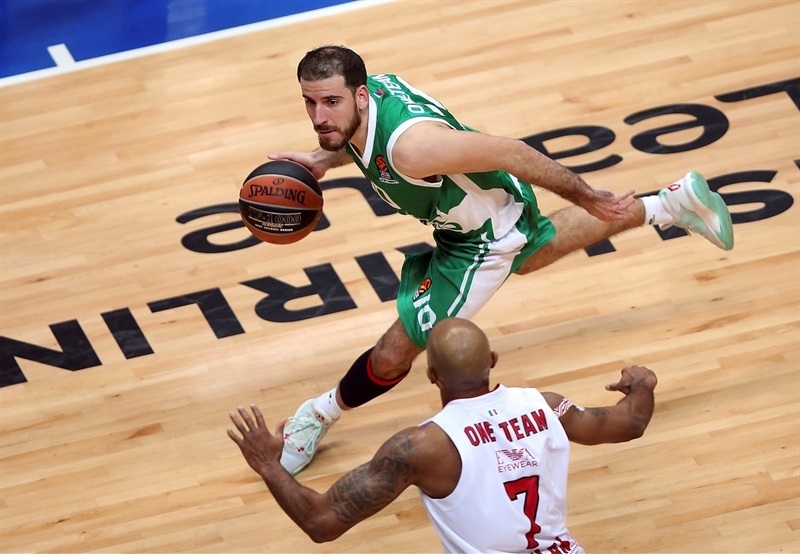 The teams traded blows early in the final stanza before Kostas Kaimakoglou's lucky roll on a three-pointer was followed by a third triple from Panin, capping a 10-0 run that made it 87-73. A pair of baskets from Langford padded the margin to 18 points with 3 minutes remaining, after which there was no coming back for the visitors. 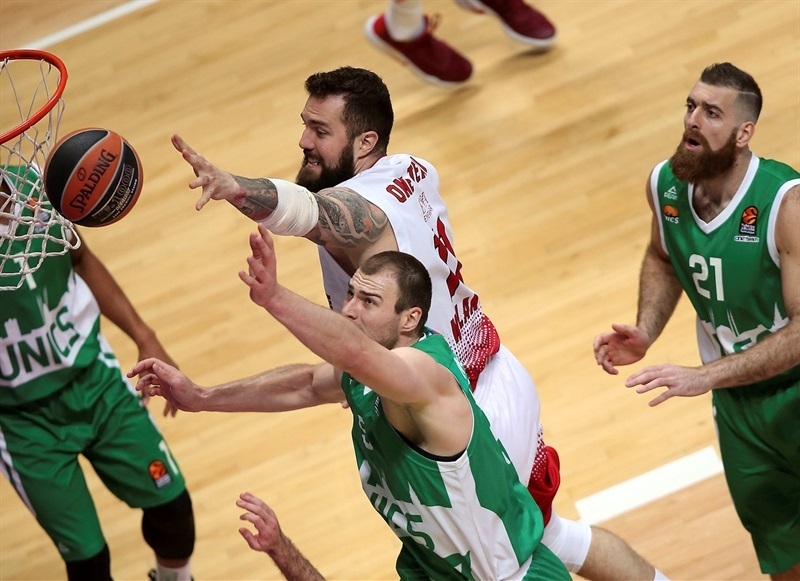 The lead broke the 20-point barrier and Unics reached 100 points for the first time in a EuroLeague game with a three from Panin on the final basket. 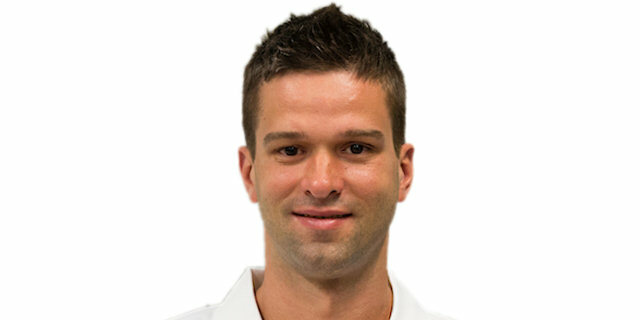 "I think our team deserved to win. All the players who came on the court tonight gave all their energy. They were aggressive on defense, they did not save themselves throughout all 40 minutes. The bench also provided help and kept us alive. What was important, we found situations how to manage substitutions and rotation, for Colom and Parakhouski. Guys who came in off the bench, like Orlando Johnson and Latavious Williams, gave us energy, gave us life, played hard defense. We did not have that in previous games when Langford and Colom had to play 40 minutes, and it is not easy to play 40 minutes on offense and defense. Everybody gave a big effort and big heart tonight. We had the entire team contribute, and that helped us a lot." "The obvious thing, if you look at the scoreboard, you see a lot of guys stepped up tonight. Vadim Panin had a heck of a game. 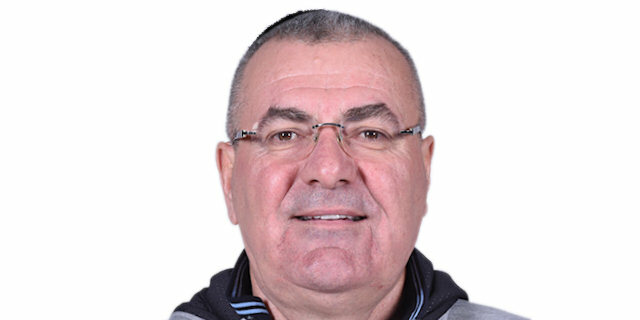 A lot of respect for him. He fought, fought, fought. He has been in slump, but he had a great game. Him, Orlando Johnson and Paul Stoll, those are the guys who deserve credit for this game. This is a step in right direction."